As anyone over forty can attest, the middle of life can be complex. It means assuming authority over both the younger generation and the older set: kids and aging parents. Still, midlife fiction has gotten short shrift, if it’s gotten any shrift at all. 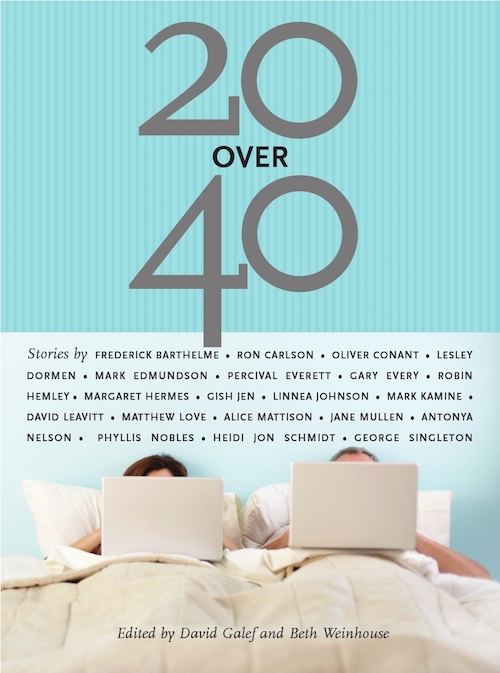 For those who like a good story but are tired of youthful fiction, 20 over 40 offers welcome relief: a short story anthology by authors over age forty about subjects that have a lot to do with that too-often-ignored time of life. Whether the plot concerns tending to children, taking care of older parents, pursuing a love affair, facing one’s own age, or just nursing a midlife crisis, these stories speak to the complexities of real life. These writers are no longer novices, yet they’re not jaded or cynical. They know their craft.